In speaking to a close friend recently, I realize that this letter isn’t just important, but crucial. Fibromyalgia awareness day is May 12th, so this letter cannot come sooner. I need to share some important information: Chronic pain is not a choice, it’s not enjoyable, and it’s not faked. Whether it’s LYME, Rheumatoid Arthritis, Multiple Sclerosis, Fibromyalgia, Myofascial Pain Syndrome, Lupus or any of the other disorders and diseases that cause chronic pain. It can be a debilitating disorder. According to the Mayo Clinic: “Fibromyalgia [IS] a disorder characterized by widespread musculoskeletal pain accompanied by fatigue, sleep, memory and mood issues. Researchers believe that fibromyalgia amplifies painful sensations by affecting the way your brain processes pain signals”. “How are you?” is a loaded question. Do you want the answer that is given so that you don’t have to hear the whole sordid story; or, do you really want to know how we are doing? Because, we, as chronic pain sufferers, are phenomenal actors and actresses. I believe we should win awards for our “I am fine” answer. When we talk to others who suffer from chronic pain, we ask about each other and give a number from 1-10, in terms of level of pain, with 1 being low and 10 being out of control. I’ve been lucky to have some friends catch onto that and ask me with the rating. I guess what we want you to know is that our fine is usually different from your fine. Chronic pain means just that. Hardly a day goes by without some level of pain; however, we do have some days that are better than others. But, just because we “look good”, doesn’t mean we are ready to tackle a marathon or swim from Cuba to Florida (as one fellow fibromite made news – a clear exception to the rule – my mother is waiting for my turn to do the swim – just for clarification, I’ve NEVER been a good swimmer). Some of us are lucky enough to deal with low pain, and some of us are in so much pain, we require aids to help us walk (i.e. canes, walkers, wheelchairs). Pain affects every functioning part of your body: physical, emotional, psychological, and sensorial. It affects your sleep, often causing disordered sleep. Some can’t seem to get enough sleep and some actually aren’t getting enough sleep. It causes depression and anxiety. It affects all five senses. Because you are in persistent pain, it’s difficult to exercise, whether it be gentle movement or anything at all, on some days. It affects your ability to focus. For me, to be able to sit still is nearly impossible. If I’m watching TV, I’m also playing a game on my computer and texting with a friend. If I am reading, sometimes I need to re-read a paragraph over and over again. Some of us lose time. I am not referring to blackouts, per se; however, for me, I will stare off for what seems like moments and its 20-30 minutes later. We can be forgetful and have what’s called “brain fog”. It literally feels like there is haze around your thoughts. It’s as if you have to wade through pea soup to be able to complete simple tasks. Honestly, sometimes I would prefer the pain to the fog. Up until a few years ago, people were fascinated by my ability to remember things. My long term memory still stands strong; however, my short term memory has become quite weak. I try to play puzzle and quiz games to strengthen this present weakness. 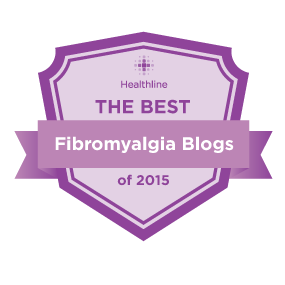 My chronic pain diagnoses are fibromyalgia and chronic fatigue syndrome. Interestingly enough, these are two disorders that my father researched over 30 years ago. There are many overlapping characteristics that fall within these two disorders. I am lucky and grateful that I have had a friend introduce me to support groups (all online) which in turn have brought me more friends that get me. It’s nice to be understood in that respect. So, I am open, as are most of my friends, in talking about our chronic pain disorders. Please feel free to ask me any question you’d like about either of these two disorders. I can tell you how I feel, and if I don’t have answers for other questions you might have, I have places to direct you, including (but not a comprehensive list).